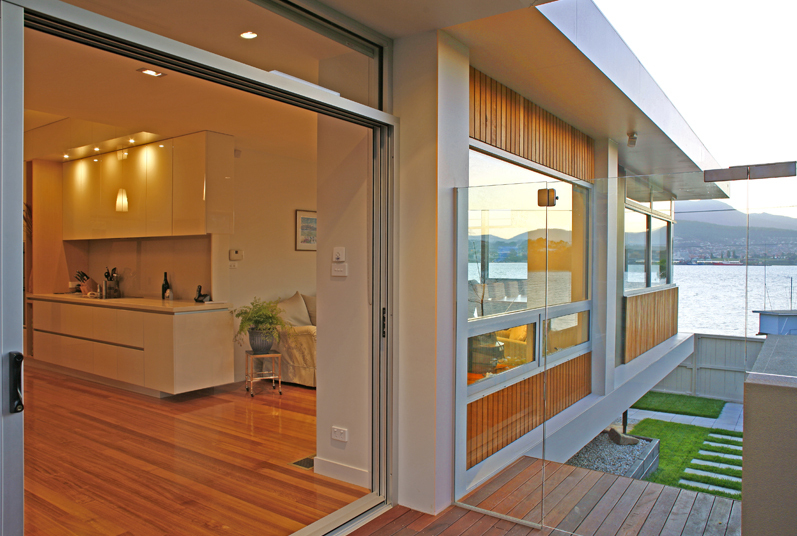 Located on the esplanade of Bellerive Bluff, this project provided the opportunity to refurbish an existing house and take advantage of the sites orientation and amazing views of the Derwent River and Mount Wellington. 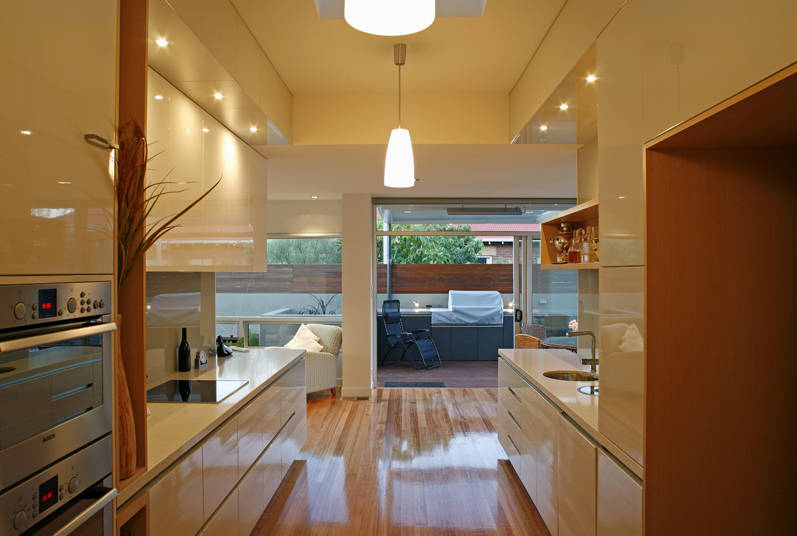 The project brief called for a solution to the dark internal spaces and lack of connection to the exterior and views. 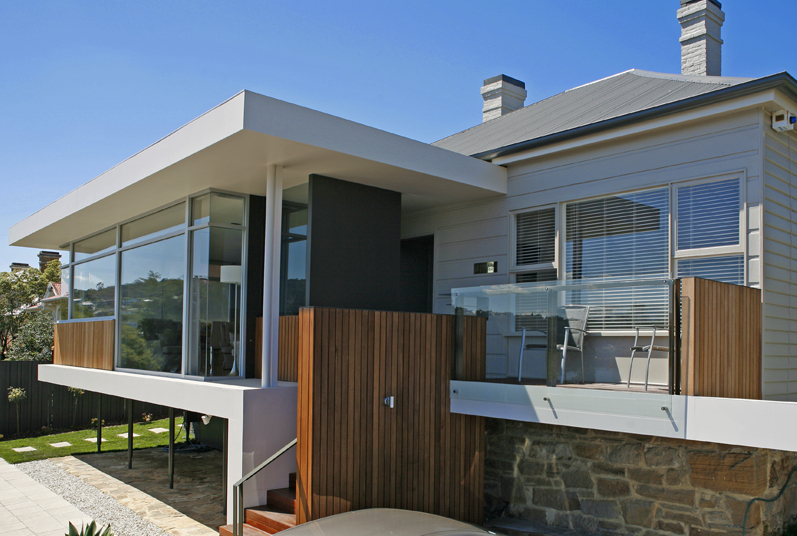 The simple concept for the project consisted of replacing the existing enclosed verandah with a contemporary extension that wrapped the original house and clearly allowed the old and new to be read separately. The main challenge was the balancing of the old and new, which has been achieved through a careful formal composition and selection of complementing yet contrasting palette of materials.